Skoda has announced the Superb Outdoor, which comes with extra bodywork protection and an all-wheel drive system for tough weather conditions. 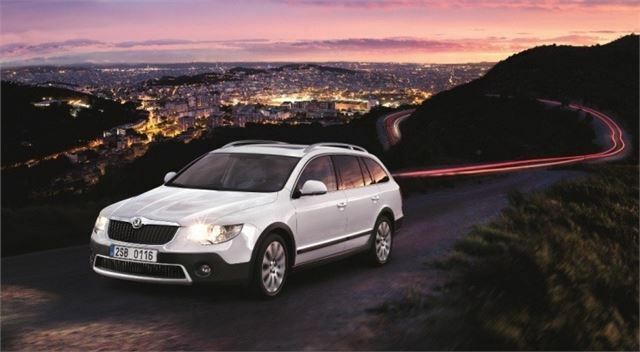 It’s offered in estate body style and is available with a choice either petrol or diesel power. It’s priced from £28,465. Changes over the standard Superb Estate SE, on which the Outdoor is based, include the addition of multi-function steering wheel, Bluetooth, hill-hold control, heater washer nozzles and headlight washers. Protective plastic strips are added at the base of the doors, on the bumpers and around the wheel arches. 18 inch alloy wheels are standard, as is permanent all-wheel drive. The cleanest model produces 165g/km of CO2 and has fuel economy of 44.8mpg. Power comes from either a 1.8-litre petrol with 160PS or a 2.0 TDI diesel with either 170PS (manual) or 140PS (DSG automatic). Prices start at £26,465 and rise to £28,100 for the 2.0 TDI DSG. A really silly name, unless they are planing to release a Superb Indoor version.